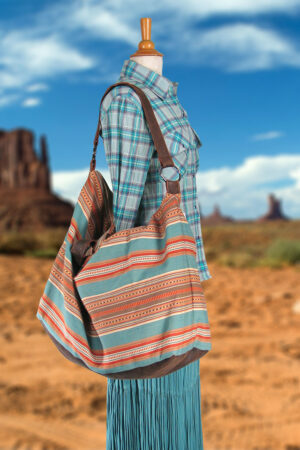 A smaller version of the Weekender Bag. A great that quick trip out of town or across town. 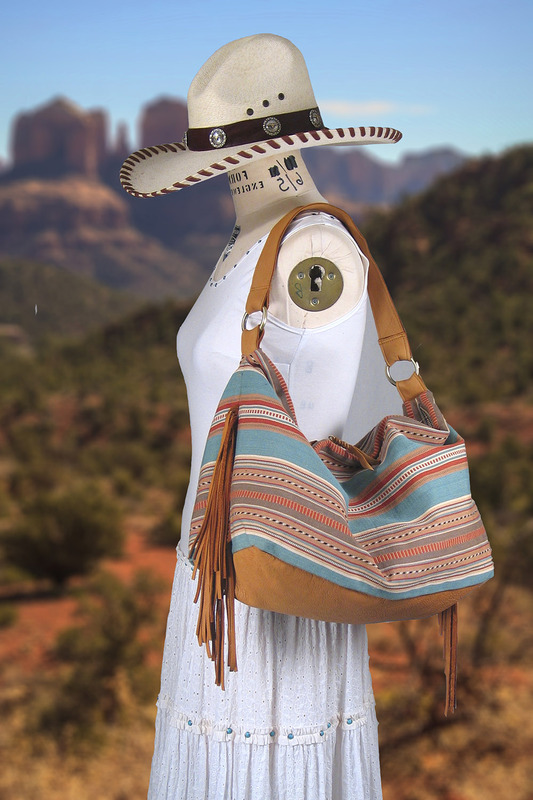 Made in rugged Turquoise cotton serape with an old Mexico appeal. 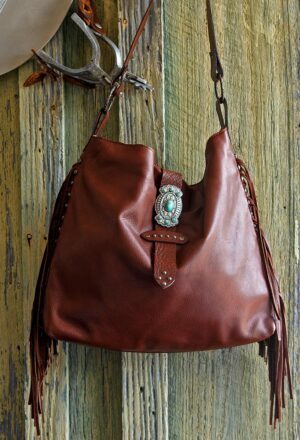 Soft leather fringe and a leather bottom panel in Saddle Tan cowhide make this bag stylish and functional. 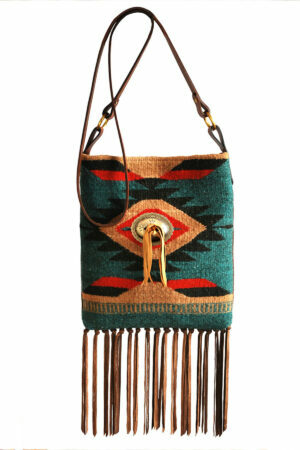 Fully lined with inside pockets for cell phone and small personal items. Measures 8″ W x 18″ L x 12″ H.